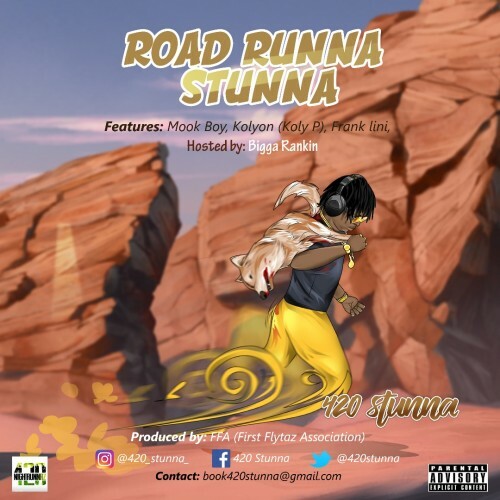 420 Stunna releases highly anticipated mixtape "Road Runna Stunna" hosted by OG Bigga Rankin. Tape is exclusively produced by FFA (First Flytaz Association) and includes features from Mook Boy, Kolyon (Koly P), and Frank Lini. Your next favorite song is in this download/listen. Thanks for support. Stay tuned for more from 420 Stunna. Follow @IndyTapes, @BiggaRankin00 & @420stunna!